Originally it was planned to hold the annual Old Penwithians Golf Competition for 2011 at West Cornwall Golf Club in November, but it was postponed until January this year. The Stableford competition was played over 18 holes and in spite of the wet start all 13 competitors, which included two guests, enjoyed the mild conditions. The winner, for the second time, was Phil Thomas with a score of 37 points. The runner up was Andrew Coak, with 36 points, and in third place, with 34 points, was Chris Roach on count back from Frank Blewett. Nearest the pin was Andrew Coak. The booby prize this year went to David James. The prizes were presented at a special lunch at the Club by Jimmy Glover, the most senior old boy present, on behalf of Roger Dugdale of Penwithian Wholesalers who sponsored the competition with the Old Penwithians Association. 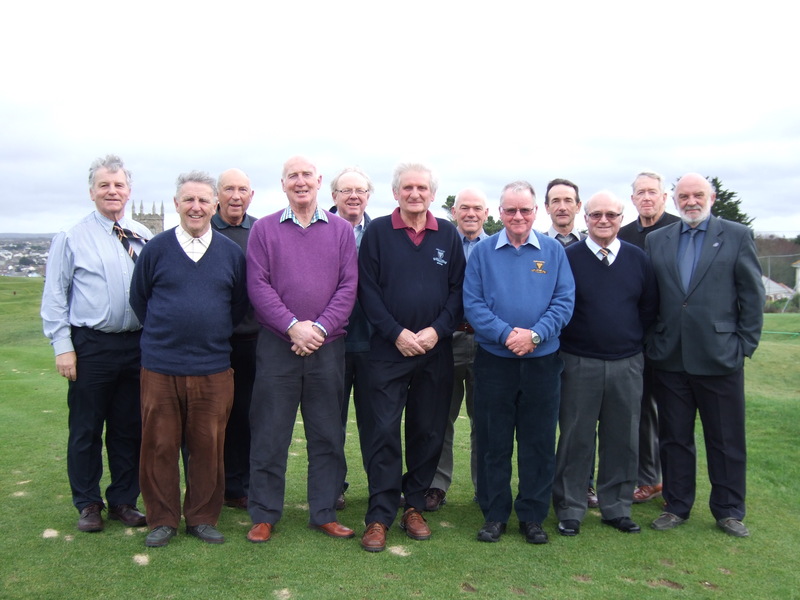 Andrew Coak (OPA Secretary), Chris Roach, Simon Pengelly, Gerald Jenkin, Frank Blewett, John Lees, Frank Curnow (RGS), Phil Thomas, David Phillips, David James, Jimmy Glover, Eddy Stephenson.